You are the first beneficiary of what you are speaking! Mind the words that come out from your mouth for it not to violate what you desire to see in your life. JESUS is The Way, The Truth and The Life! JESUS is The Word made flesh! Do you want to enjoy and have a good life? Then SPEAK and DECLARE the Word of God that carries life and life shall be and you will have it more abundantly!!! Do you want to see healing, restoration, and provision manifest before your eyes? 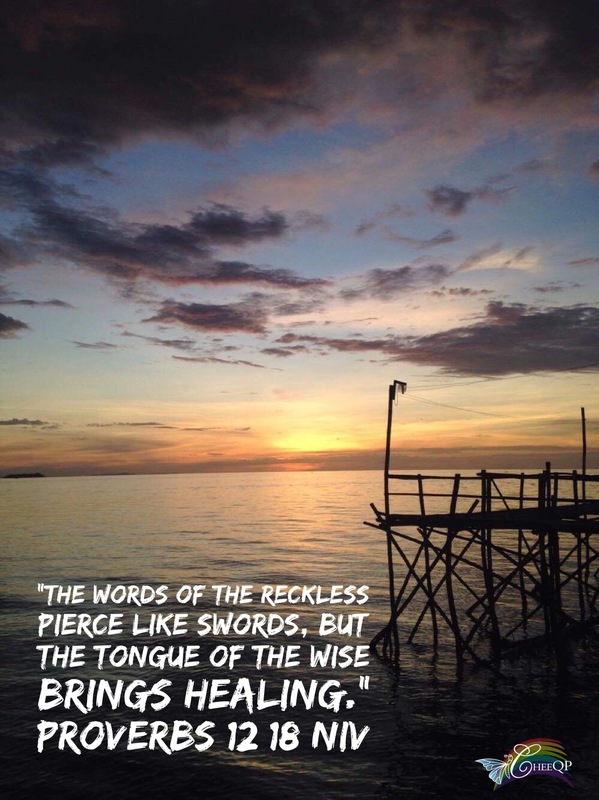 Then have the tongue of the wise! And if you want to see these manifest to those around you, then let life-giving words flow THROUGH you. Wisdom comes from the Word of God revealed by the presence and power of the Holy Spirit. The secret still remains. Stop long enough in the Secret Place and be fueled by the fire of the Holy Spirit in intimacy that births the miraculous!